The city of Jacksonville offers the nation’s largest park system by size and there is plenty to explore! With the great year-round weather, there is ample time to get outdoors and enjoy the best that North Florida has to offer. From kayaking to hiking, biking, camping, and more there is so much for an outdoor enthusiast to do in the Bold City of the South. Here are a few free or low-cost things to do in the city’s parks that are easy to find and great family fun! 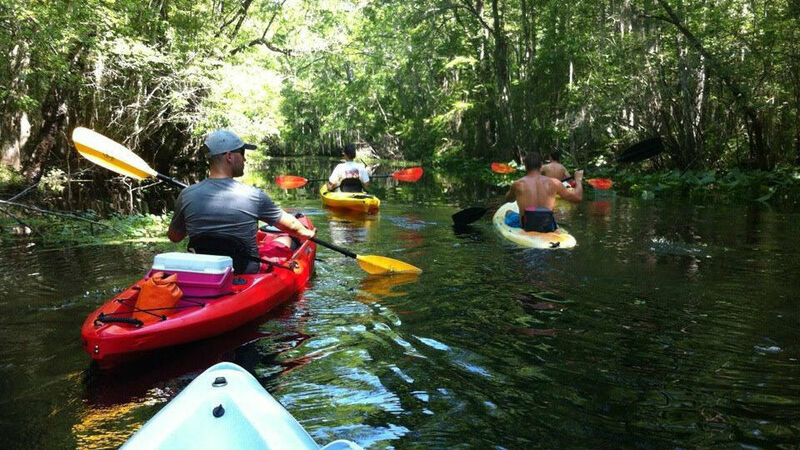 Get out on the water – Jacksonville is surrounded by numerous waterways and the city parks provide multiple locations to get out on the water. You can take a kayak on a calm creek or paddle to see dolphins on the intercoastal with the many kayak launches throughout the city. There are also a lot of boat launches and docks to get on the water on the St. Johns or explore the Atlantic Ocean. Visit the beach – With miles of picturesque beaches the city of Jacksonville offers plentiful access points to visit the beach at any time of the day. Also, Hanna Park in Mayport offers an oceanfront park with pavilions and facilities. Take a hike – With so much acreage in the parks system, you will find miles of trails to explore. Go and see the wildlife of North Florida and take in great views from secluded spots. Have a picnic – In most of Jacksonville parks there are pavilions with bathrooms and grills to accomodate a great family cookout. Take advantage of the open spaces and fresh air to barbecue on a beautiful day. Ride a bike – Whether you like off-road or road biking Jacksonville parks meet your needs. The city offers multiple parks with off-road trails of all skill levels. Or, if you want to try road biking but are not comfortable dealing with traffic you can try the Baldwin Rail Trail that offers no road traffic and 30 miles of paved trail round-trip. There is something for everyone in the parks of Jacksonville. Explore for yourself by visiting the city parks website and find the location that meets your outdoor needs! Visit http://www.coj.net/departments/parks-and-recreation to learn more!